So simple, just plan ahead more than when mixing powder with water. But what is in that powder? And, do you really want that in your body? Place your tea of choice (I used organic oolong tea for this batch but you can use green, black, herbal) in water and leave on the counter to steep. 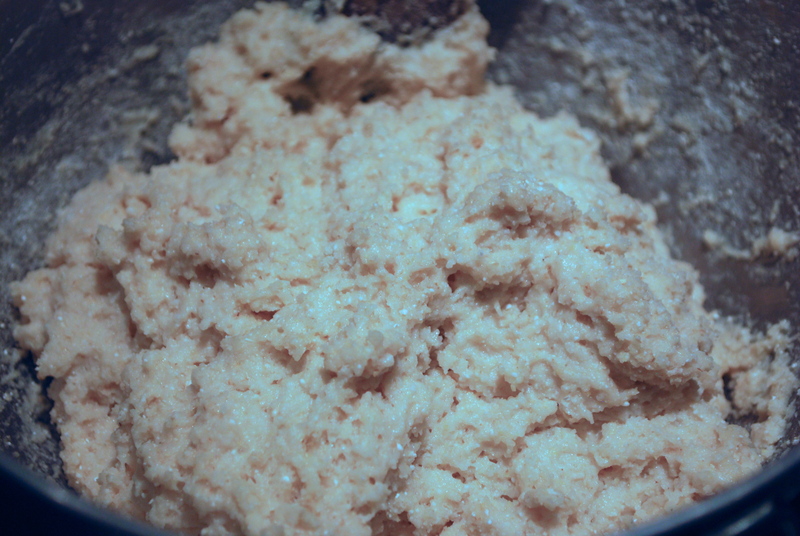 You can see the process if using a clear glass container. Make it strong, especially if you plan on adding ice, so double the tea to water ratio that you would normally use when you make hot tea. I usually do this first thing in the morning and by noon it is done. Once the tea bags or loose tea has been removed you can drink as is or add a little honey and/or lemon to your taste, stir and enjoy a healthy alternative. Make a single glass or a pitcher full. Store any left overs in the refrigerator. 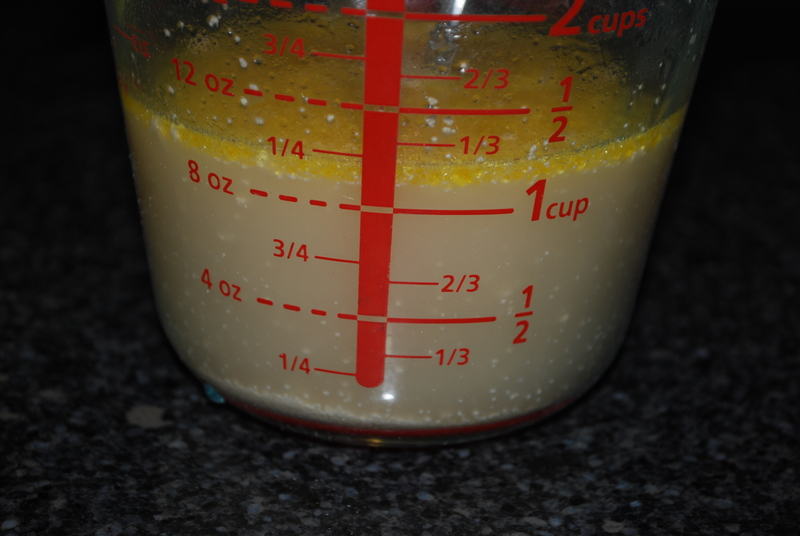 This entry was posted in in the kitchen and tagged alternative, black, from scratch, green, healthy, herbal, home made, iced, no, oolong, powdered, sun, tea on July 11, 2014 by lenapietri. I have missed “real” pizza for a long time. 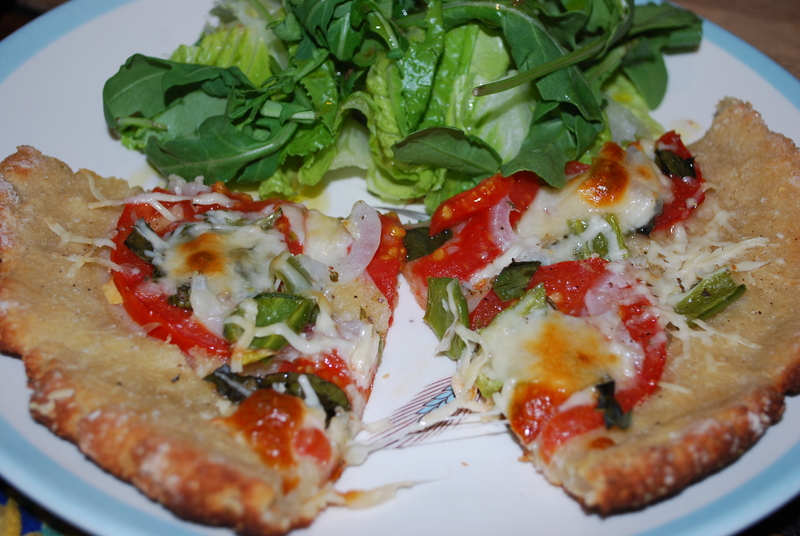 Having tried to make gluten free pizza crust in the past it always tastes fine but the texture is like a fat flat bread. It just isn’t the same as a soft, sink your teeth in dough. Most gluten free pizzas made from scratch look the same, flat. I made a gluten free pizza dough from scratch today that is worth mentioning though my experiments will continue until I figure this out. Preheat oven to 500. Combine flours and set aside. (*I ground the quinoa, brown rice and oat flours in a coffee mill set aside for gluten free grains, seeds and nuts to making flours in small batches. Convenient and economical.) You will probably have some left over so have a jar handy to store it in. 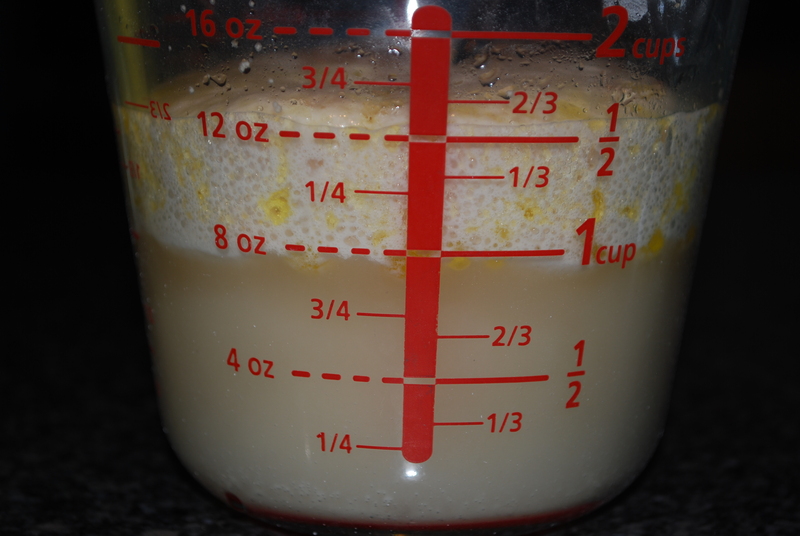 Combine warm water, yeast, brown sugar and extra virgin olive oil in a 2 cup or larger container and set aside for 20-30 minutes keeping an eye on the mixture. 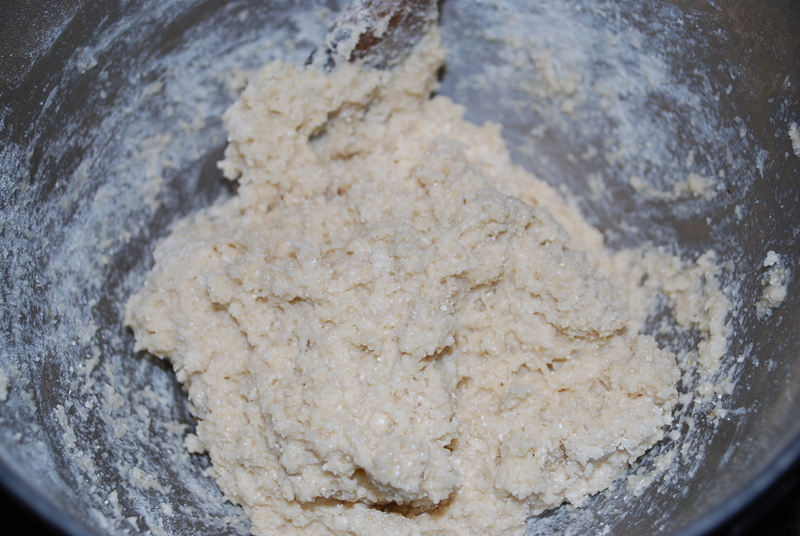 (** I normally do not put sugar in my bread or pizza dough but in the case of the challenging gluten free pizza dough the sugar helps to activate the yeast.) Once there is a large head of foaming yeast you know it is “alive”. 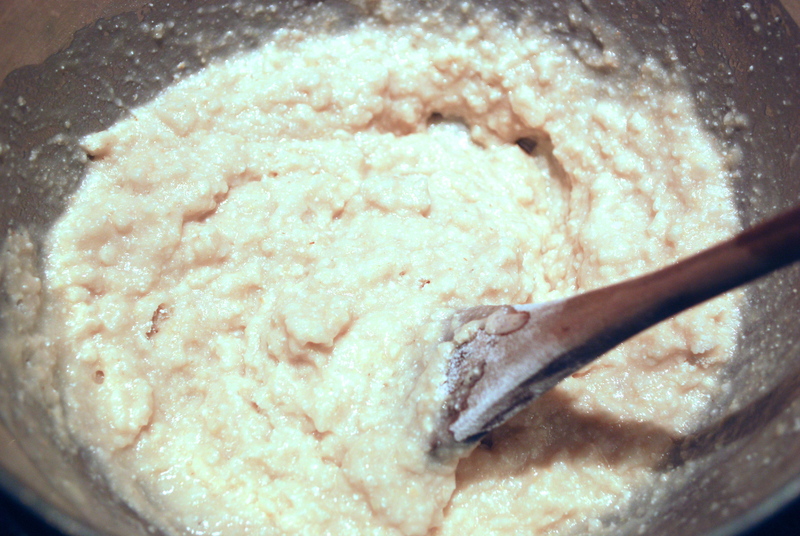 Place 1 cup of the flour mixture and salt into a medium sized bowl and add the activated yeast. 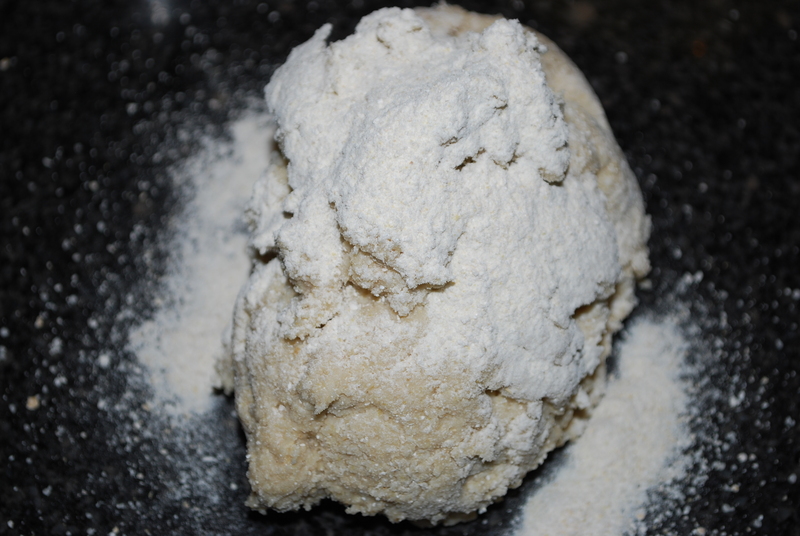 Mix together and continue to add flour until you have a firm and slightly sticky dough. 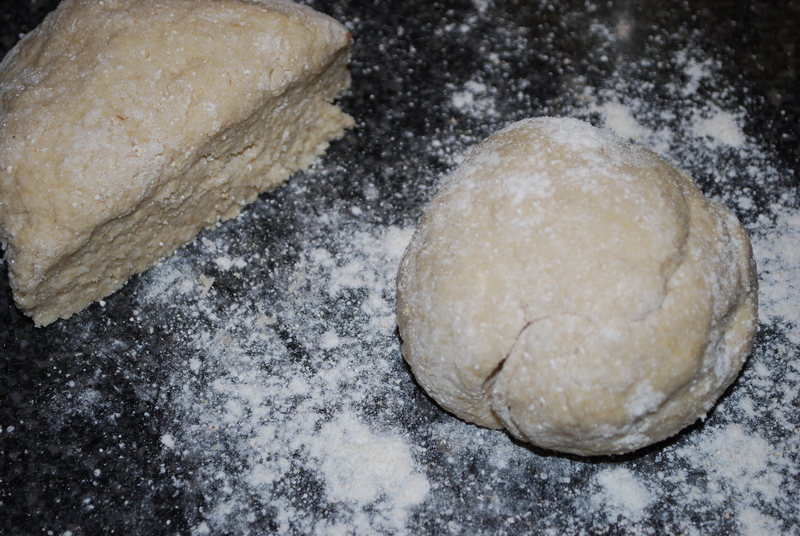 I used a wooden spoon but an electric mixer with dough hook should work too. Set a side and allow to rise. It took only about 30 minutes for mine to double. 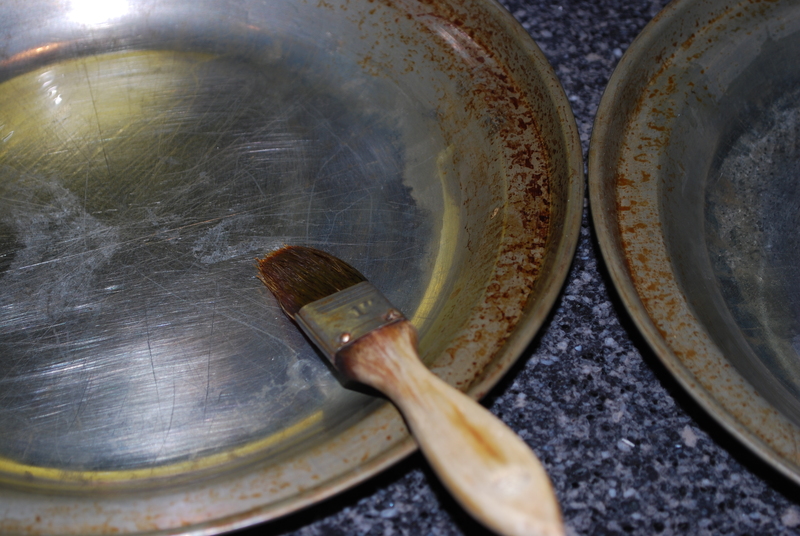 Meanwhile generously grease 2 pie plates with extra virgin olive oil. 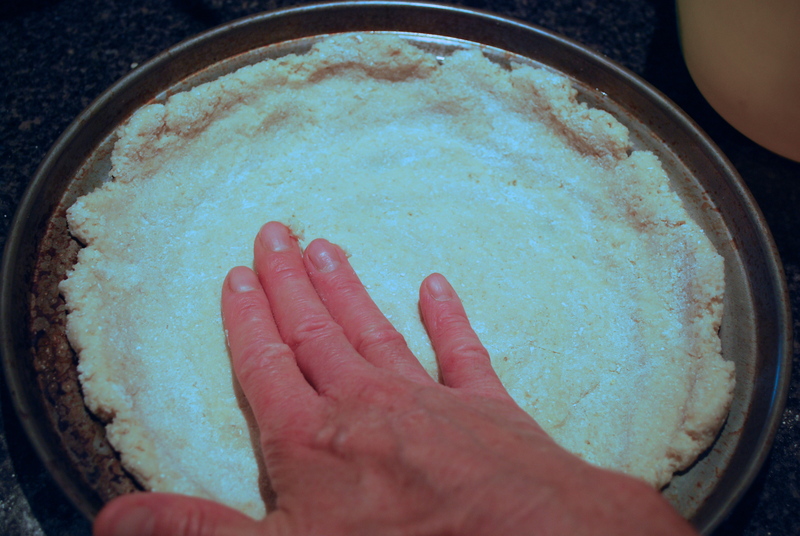 Add more flour to make the dough firm enough to take out of the bowl, divide in half, form into a ball and then press into the oiled pie plate. 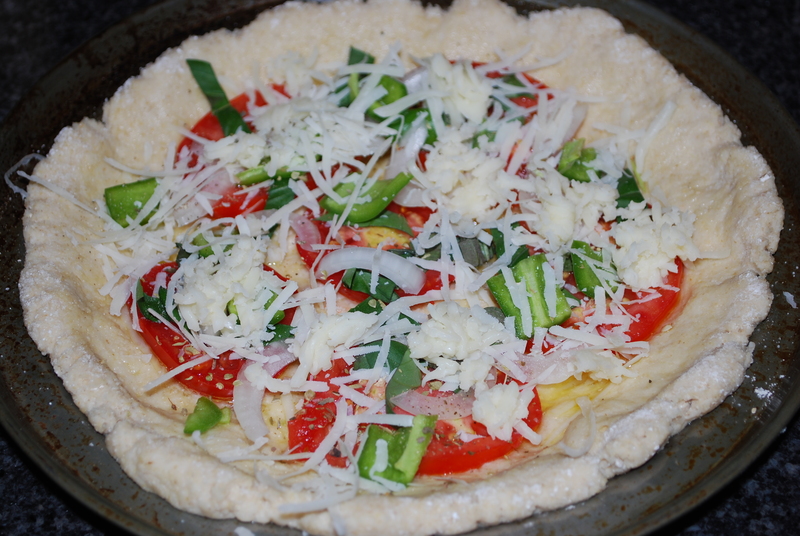 Add desired toppings and bake until the crust is golden and the cheese is melted and golden. 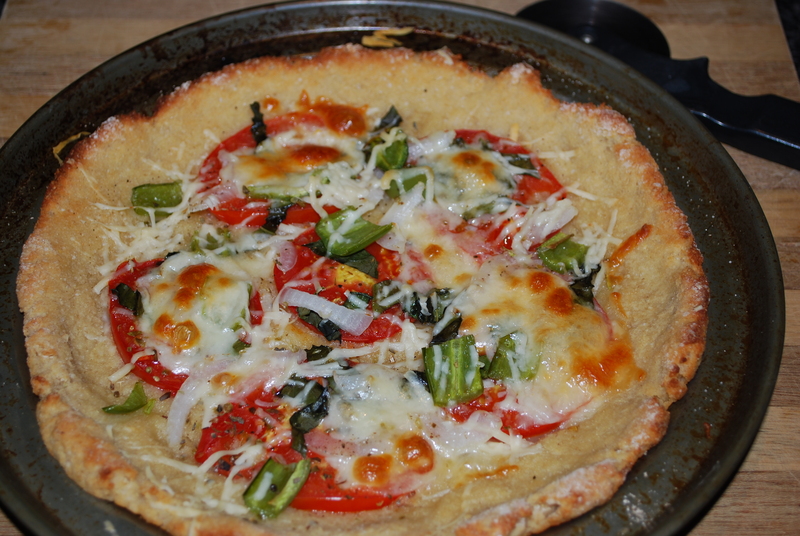 This entry was posted in in the kitchen and tagged dough, from scratch, gluten free, pizza on September 5, 2013 by lenapietri.